with you. Our passions and thoughts provide insight on how to have a meaningful career. bounce back after a challenge? How do we attain career success? How do we remain positive? comments so we may communicate with each other. In a competitive job market, job seekers use a variety of job search strategies to stand out with their job application, with the aim to be invited for an interview. Successful job search strategies will assist you to have your LinkedIn profile and resume noticed, and for companies to connect with you. Here are ten tips to support your job search, and bring you closer to receive a job offer. It takes full-time work to job search and find work. There is no short cut to find employment! Apply for a set number of applications per week, say four or five. Measure the progress and success of each application by the outcome that you attain. It may require that you refine your job search to more suitable vacancies by targeting relevant jobs, or omitting or highlighting information. One of the most important job search strategies you can use to stand out in your job application is to tailor your job application to demonstrate your unique marketable features that focuses on your strengths. It may point to your specific skills, experience and work projects that meet an organisation’s specific recruitment requirements. Apply for jobs that match your work experience, skills, interests and the location of where you want to work. Use key words to help you narrow your search. Key words relate to your occupational offerings, expertise and qualifications. It will help focus your job search to give you more relevant job listings to review, and less non-relevant job listings to peruse. Identify companies where there is a good fit between your work background and values, and where you can add value to a role. Successful recruitment practices require complimentary synergy between an organisation’s culture and values that match an individual’s. From an organisation’s perspective, it leads to reduced staff turnover, and from an individual’s perspective to job satisfaction and long term employment. Once you have devised your ‘ideal’ organisation, write a targeted letter pointing to your suitability for the position, and willingness to support your expression of interest with a request for an interview. It is important to take the time to write a targeted resume and cover letter that specifically links your experience, skills and qualifications to the jobs that you are applying for. It will assist an employer to see how you are qualified for the job. You will have a much better chance of getting an interview than if you send a generic email and resume. Make your profile searchable when companies are looking for prospective staff, with the use of key words that relate to your career, industry and occupation. Your LinkedIn profile is an important way to build your professional identity and credibility. Your LinkedIn profile can be creative with the use of company logos, pictures, video links, recommendations and endorsements that provide evidence of the quality of your work. It will provide recruiters and employers with a strong positive and professional impression of you. Many individuals find it difficult to ask for feedback, especially once they have been rejected with their job application. It is not easy, and it takes courage. Employers are not required to give you this information so if they provide it, it is the gift of feedback. The feedback will provide you with insight to enable you to see how your application was evaluated from an employer’s perspective, and how it measures against other applications. The information will enable you to improve your future job applications. It may mean closer targeting of your job applications to focus on work roles that match your experience, or taking additional steps such as training to build your skill level to enable you to meet the job criteria. The key to a successful job search is networking. Networking is the way most popular method that people use to connect with people that you know such as: current and past colleagues, clients, and employers. They can assist you to obtain job leads that can help find employment. You will then be in a position to demonstrate your unique skills and experience to employers who are on the lookout to recruit an employee. Before an interview, research the company by reading about their products/services, and their news. Find out the names of the people you can address your expression of interest for a direct application, or whom may interview you. Prepare to mention the value you bring to the organisation. A systematic approach to job searching will provide you with the best job searching results. Here are some tips to help you. Organise a job-searching schedule – This is a daily timetable of your current job searching activities that you are undertaking, and a plan for future activities. Follow up – One area that many people neglect in their job search is their follow up. Most people just email the resume or submit the application in the hope that someone will reply. To be successful, be proactive and follow up by phone or email. If you leave a voice message, it could be an abbreviated elevator speech, or the follow up email could summarise the ways in which they are qualified. 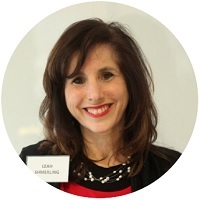 Leah Shmerling is the Director and Principal Consultant of Crown Coaching and Training, and has extensive experience in career development, life coaching, education and training. Leah is the author of two books in careers and business communication, a former freelance writer for The Age and Herald Sun, and publisher of two accredited online short courses, Mentoring and Development and Foundations in Career Development Practice. Leah is a professional member of the Career Development Association Australia (CDAA), a Certified Retirement Coach and is Board Certified as a Career Management Fellow with the Institute of Career Certification. Thank you for being such an engaging, dedicated and caring teacher. You made our weekly studies fun and informative, and I learnt so much. All the best and hope to cross paths again. Leah you are an awesome facilitator and a fabulous educator. I feel we all progressed so much over the 12 weeks, not only in knowledge but also in confidence. I wish all ACAP blended delivery classes could be conducted like this because you broke down the content for us and you were available to us to ask any questions we had about the content or our assessments. Just wanted to say thanks for all your efforts in creating a great class! I enjoyed the topic and appreciated all your efforts – especially the workshop and essay feedback! Thank you so much for teaching us. It has been an excellent experience for me and has increased my understanding ten-fold. You are an amazing teacher and I’ve always enjoyed your enthusiasm. Thank you for the most amazingly wonderful introduction into the Bachelor of counselling. I enjoyed every class and reflected so in your units feedback. As I mentioned to you in class, I was in awe of your knowledge. I want to express my appreciation for your brilliant training. I am thrilled with the experience you provided and the level of practical work and theory. Thank you so much, you brought theories to life…All the training that you do has been deeply rewarding. I’ve grown in unexpected ways not just personally but professionally in each. Your enthusiasm is infectious and highly appreciated. Dear Leah, Firstly, thank you for this course which I found excellent and which exceeded all my visions of what it would be like. Thank you so much for coming and training us in Conflict Resolution. The team got so much out of it, and still talk about tools they use. Thanks Leah for having provided fantastic training. I did enjoy the course and learnt a lot. I am interested in continuing my study in this direction so I will think about taking up further study in Graduate Diploma. Thanks again for your patience and support throughout the duration of the course. I couldn’t have completed without your support and assistance. Leah, this is awesome, something to be really proud of. I am so glad you are here but more than that, that you are offering yourself and your expertise to the world. The world is clearly a better place for your presence. Thanks again for everything. I would like to thank you for supporting me through your extensive supply of resources and experience in successfully completing the Foundations in Career Development Practice, CHCSS00005 Career Development Skills Set. The facilitated delivery included a blend of monthly webinars, on-line resources and relevant workplace assignment tasks that have built my confidence to coach my clients toward achieving their desired goals. Your feedback of my work was invaluable as it taught me to work smarter, more efficiently, providing me with more effective results and happier clients. So, thank you very much for all your input over last 7 months! With Leah’s enthusiastic approach I was motivated to examine much more than the basic requirements of the course. Her depth of knowledge in this arena not only surprised me but empowered me to pursue all aspects of it to ensure I had a really good understanding of what it entailed. Leah had presented the course in a professional yet warm and personal way and which allowed her students to become closely acquainted with the subject. Her passion for helping others is highly evident and via this avenue she is able to encourage others to be the change they want to see in themselves and in the world around them. I have been able to demonstrate many of the elements of the course immediately, and see the results in provoking the right conversations, as well as providing areas of focus that aid in alleviating tensions, and pointing toward solutions. Leah has pitched the course to comprehensively cover pertinent topics with her own flair, in a manner befitting high quality professional development. I would recommend it wherever applicable.